You are here: Home > Shop by Manufacturer > Cambro Manufacturing Co.
Cambro Ingredient Bin 21 Gal. Cambro Food Storage Box Clear 18 in. x 12 in. x 3.5 in. Cambro Polyethylene Food Storage Box White 18 in. x 26 in. x 3.5 in. Cambro Dough Pizza Box White 18 in. x 26 in. x 3 in. Cambro Storage Box Cover White 18 in. x 26 in. Cambro Camtainer Black 4.75 Gal. Cambro Casters Cart Utility Speckled Gray 5 in. Cambro Cam-Ware Container Clear 22 Gal. Cambro Plastic Container White 12.5 Gal. Cambro Plastic Container White 22 Gal. Cambro Plastic Container Clear 8.5 Gal. Cambro Plastic Container White 8.5 Gal. Cambro Plastic Container Clear 3 Gal. Cambro Plastic Container Clear 5 Gal. Cambro Plastic Container Clear White 5 Gal. Cambro Trash Container Black 8 Gal. Cambro Beverage Dispenser White 6 Gal. Cambro Cranberry Insulated Dome Plate 9 in. Cambro Plastic Beverage Dispenser Dark Brown 4.75 Gal. Cambro Juice Cup For Lid 6 Oz. 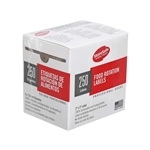 Cambro Label Bulk 2 in. x 3 in. Cambro Lid For Colorware Tumbler 9.5 Oz. Cambro Lid For Heritage Tumbler 8 Oz. Cambro Lid For Heritage Bowl 9 Oz. Cambro Lid For Swirl Bowl Clear 5 Oz. Cambro Lid For Turnbury Bowl Clear 9 Oz. 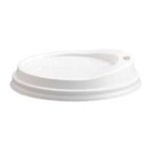 Cambro Turnbury Mug Lid 8 Oz. Cambro Plastic Flat Container Lid Clear 12 in. x 18 in. Cambro Medium Lid For Newport Tumbler 8 Oz. Cambro Dietary Cranberry Mug 8 Oz. 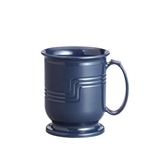 Cambro Dietary Navy Blue Mug 8 Oz. Cambro Underliner Pellets Carnberry 9.5 in. Cambro Camwear Scoop Clear 12 Oz. Cambro Camwear Scoop Clear 24 Oz. Cambro Camwear Plastic Scoop Clear 6 Oz. Cambro Plastic Scoop Clear 64 Oz. Cambro Polycarbonate Plastic Tong Clear 6 in. Cambro Plastic 20 Regal Glass Holder Tray 14 in. x 18 in. 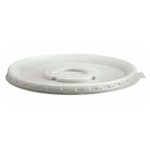 Disposable Lid For Dinex - 9 Oz. Flat Grip Beige Tong - 6 in. Economy Pitcher Polycarbonate Clear - 60 Oz. White Round Container without Graduations - 12 qt. Camwear Square Storage Container Clear - 12 Qt. 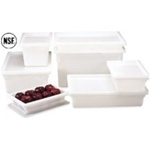 Poly White Flat Lids for Food Boxes - 12 in. x 18 in. Poly White Food Boxes - 3 Gal. Camwear Full Size Food Pan Clear - 4 in. Polypropylene Translucent Full Size Food Pans - 4 in. Camwear Clear Food Pan - 6 in. Polypropylene Translucent Food Pans - 6 in. Camwear Square Storage Container Clear - 18 Qt. Camwear Square Storage Container Clear - 2 Qt. Cambro Manufacturing supports foodservice restaurant operators worldwide with products designed to make operations safer, more efficient and more profitable in the kitchen and dining room areas. Product categories include trays, table service and display items, storage, shelving, merchandising and insulated transport products, warewashing systems and healthcare meal delivery solutions. 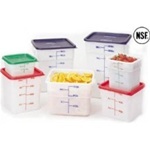 Buy Cambro Manufacturing Company durable items to make your cafeteria as efficient as possible.